We speak to Darren Chang, local Vancouver activist, about his experiences at the Direct Action Everywhere (DxE) Convergence in California. At the convergence DxE organizers from around the world got together to hear about the ideas that led to the development of DxE, share best practices for effective activism and get to know each other and build community within the movement. 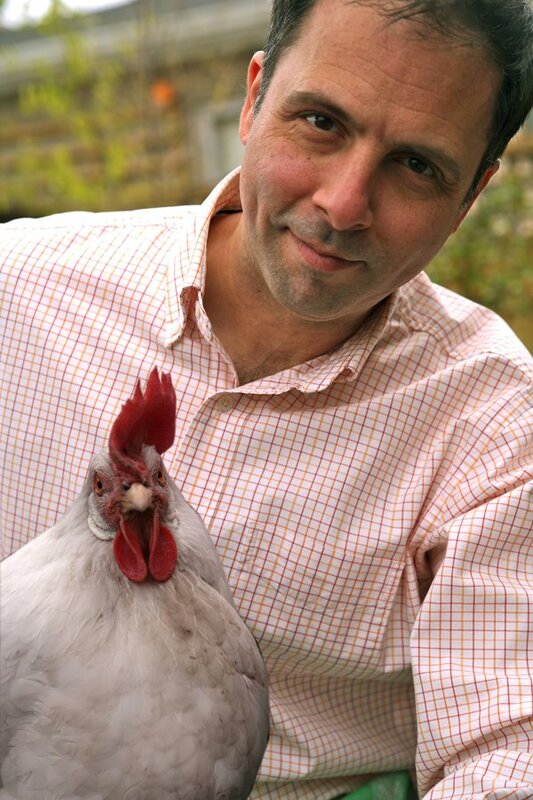 We speak to Robert Grillo on various topics including: Humane Meat Myth, backyard chickens and much more. Robert is the founder and director of Free from Harm, a 501 c (3) non profit animal rescue, education and advocacy organization. Free from Harm excels at online activism, building a committed online community, publishing content that serves activists as well as the general public on its 700-plus page web site, and syndicating its content to search engines, websites and social media touchpoints. Grillo has a professional background as a creative consultant and integrates his 20 years of marketing and design experience into his animal advocacy work. He enjoys the outdoors, hiking, biking, gardening and vegan cooking.